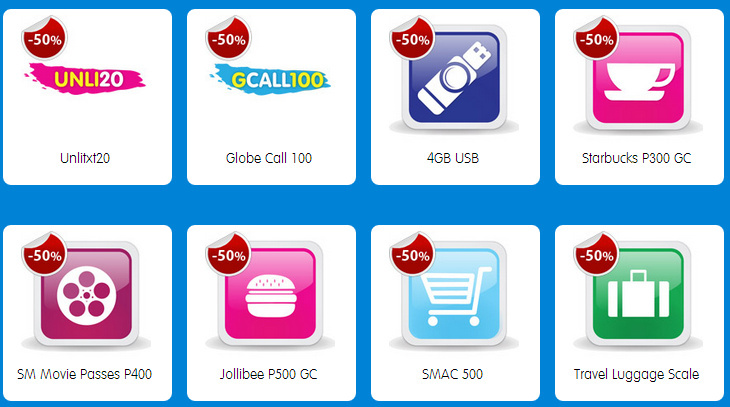 Globe subscribers can redeem Globe Rewards items at 50% off. You can also send them as a gift to your loved ones! Promo runs on October 7-21, 2012. MyRewards MyGlobe is a rewards program for Globe subscribers (postpaid and prepaid) where they can enjoy exciting rewards simply by using and staying with Globe. All active Globe and Tattoo subscribers are automatically members of MyRewards MyGlobe. 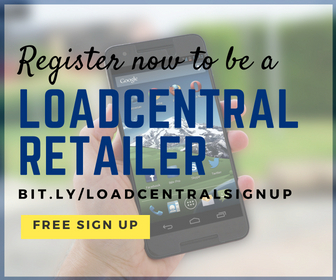 A subscriber can earn rewards points every reload. You can also ask your friends & family on Globe to share points with you. To view all items available in the catalogue, visit Globe rewards website here or text ITEMS to 4438 for the complete list of rewards. P1 minimum balance required to send this message for free. Text REDEEM<space>ITEMCODE to 4438. P1/transaction.